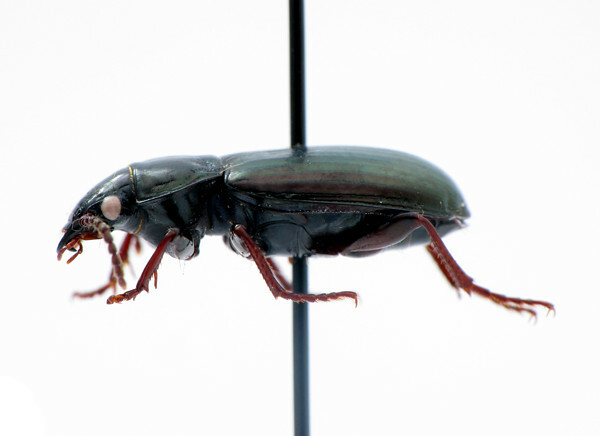 …writes Lindroth (1969) of Pterostichus (Stereocerus) haematopus in his 1200+ page taxonomic key of Canadian/Alaskan ground beetles. Black with greeny-metallic lustre – check. Well that’s quite different, isn’t it? 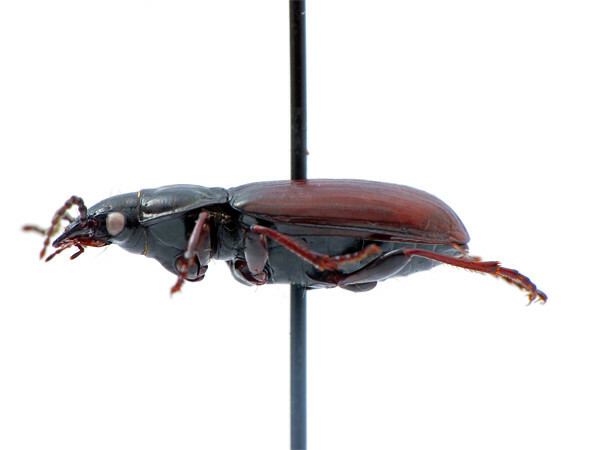 Believe it or not, these two beetles are the same species. This is a great example of why a well-assembled taxonomic key is critically important to making accurate identifications. I had rough-sorted (i.e., “guesstimated/eyeballed”) these beetles into different groups initially, but the reddish-brownish one (of which there are few) just kept keying out the same as the more prevalent metallic version. I checked in with the experts at the Canadian National Collection to make sure I hadn’t goofed – and I hadn’t. 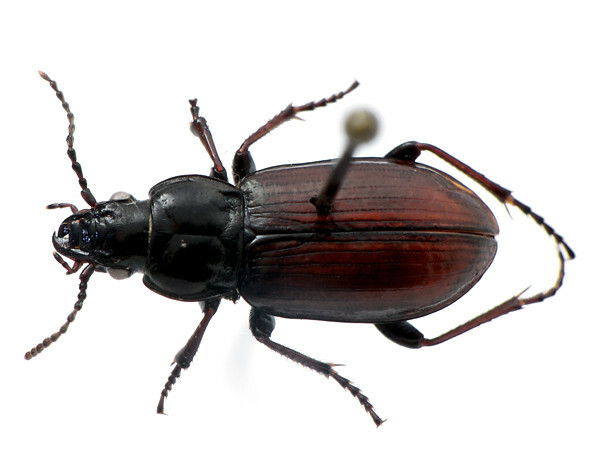 The key I’m using for my ground beetles was written by Charles H. Lindroth over the course of about eight years, and represents the sum of several “smaller” publications. It is truly a magnum opus in the world of beetles (indeed, of entomology) and is still considered the ultimate reference for this family, even after 35+ years of new research and updated phylogenetic/taxonomic work. Lindroth, C.H., 1961-1969. 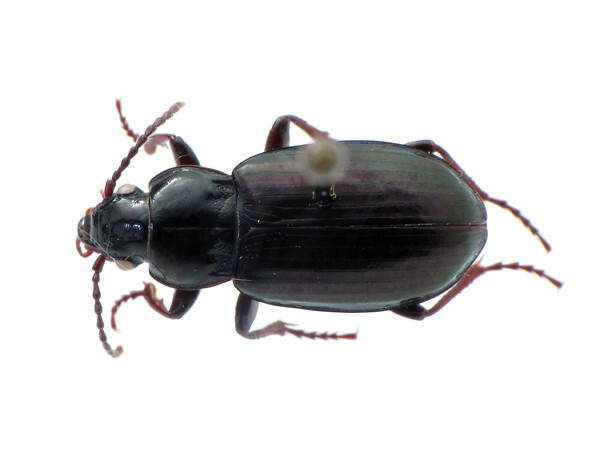 The ground-beetles (Carabidae, excl. Cicindelinae) of Canada and Alaska. Opusc. Entomol. Suppl. 20,1-200; 24,201-408; 29,409-648; 33, 649-944; 34, 945-1192; 35, I-XLVIII. I sensed a variation in the force, what I can I say! This is great! I’m glad you put in how much time it took Lindroth to assemble this piece of work; 8 years is a Darwinian load of taxonomic perseverance. The work is truly impressive, with impeccable attention to detail and marvelous drawings. I cursed it at first (just for the sheer bulk) but now appreciate what an incredible tool it is. See, you ranted earlier about the preponderance of molecular biology in current entomological research. This provides a perfect example of how these techniques can be applied to “whole organism” questions.